eDogAdvisor is a supporter of the campaign to end Puppy Farming so we are delighted that Linda Goodman, the founder of the CARIAD Campaign, is the author of our latest Guest Blog. Here Linda describes how her campaign to end Puppy Farming came about. The problem with consumerism is that the moment you mass produce something, you immediately devalue its true worth. A puppy however, is not a ‘thing’ or a commodity, but a living creature that has now sadly been mass produced to satisfy a human desire for cheap, temporary novelties rather than lifetime companions. Although puppy farming existed in the early 80’s it wasn’t widely known about. Those were the days when the Thatcher Government, desperate to placate dairy farmers about milk quotas, saw dog breeding as a quick fix sacrificial lamb. They persuaded farmers that dog breeding was the ideal way to diversify and supplement their incomes. Naturally, the Government did this without putting anything in place to ensure the welfare of the breeding dogs that they had so quickly and thoughtlessly condemned to a life of slavery. Thirty years on and this ill-thought through ‘diversification’ has brought nothing but suffering to man’s best friend and heartbreak to the dog loving public. The fruits of this ‘diversification’ can now be seen languishing in pet shops, pet superstores and garden centres or being exchanged for cash in car parks, motorway services and out of the back of any dodgy dealer’s van. You can even put a puppy in a shopping cart online or order a puppy using a smartphone app these days. The truth is that if puppies had barcodes, you’d be deafened by the beeping of scanners today. Gargantuan loopholes in the pet shop licence as well as disturbing inconsistencies in the dog breeding licence mean that at present, both are nothing more than rubber stamps for puppy farming. And Defra under this coalition government has become a disgraceful accomplice to this barbaric trade, being perfectly satisfied to continue condoning a piece of legislation that was in place when Winston Churchill was Prime Minister – the 1951 Pet Animals Act. The pleas, the evidence, the documents that show why it is one of the most lethal pieces of outdated animal welfare legislation in the UK continue to fall on deaf Defra ears. There’s no shortage of ‘guidance’ and ‘voluntary codes’ that look attractive on paper but do absolutely nothing to ensure canine welfare because they are at best ‘get out clauses’ for abuse both online and off and at worst complicit in continued animal suffering. To be blunt there are no laws in the UK that are mandatory to enforce when it comes to protecting puppy farmed dogs and their offspring. And that suits Defra, the Pet Industry Federation and many Local Authorities just fine. Sadly today it is an industry that continues to flourish, thousands more dogs are suffering in commercial breeding establishments, both licensed and unlicensed, and more puppies are becoming sick or dying days or weeks after being brought home. 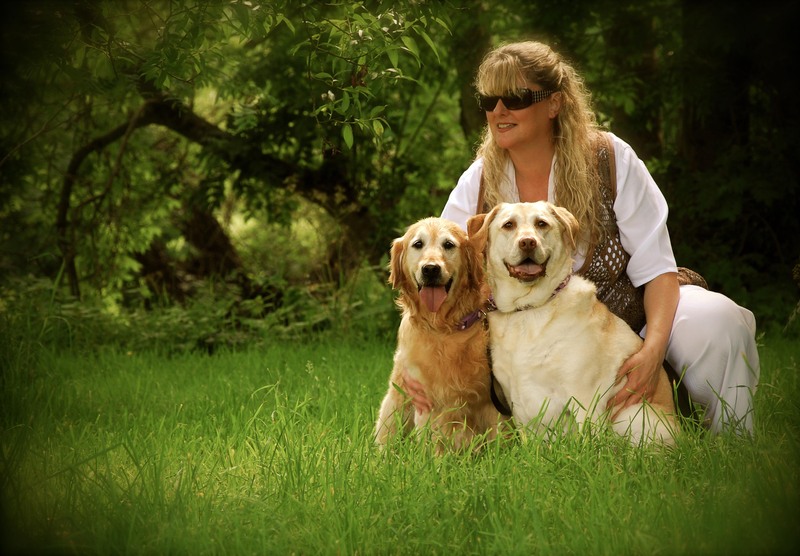 When I lost my beautiful Golden Retriever, Boomer, at the remarkable age of 17, her best friend - a normally bouncy and hugely affectionate yellow Labrador called Cariad – was completely overwhelmed by grief. Until she was rescued, Cariad had experienced neglect and emotional trauma that would have defeated most humans. But she was an extraordinary soul and a survivor. She loved everybody, every dog, everything, every day. She just threw her whole heart into life. It seemed there was nothing I could do to comfort her and bring her out of her depression. A few months later, a rescue dog came to my attention in need of a new home. Her name was Amy, a Golden Retriever who had been used for breeding. The girls met and became a lifeline for each other in a way I hadn’t anticipated. Amy, as I soon discovered, had come from a licensed puppy farm and for seven years she had produced litter after litter of puppies. She had been kept in appalling conditions and despite being in a foster home for nearly a year was still a very anxious girl. Physically she had all the hallmarks of puppy farm misery. A beautiful, gentle face scarred with deep bite marks from fighting for food or possibly from aggressive forced mating. She’d already undergone significant surgery to remove the nine mammary tumours she’d emerged from the puppy farm with. The vet had also removed a large amount of excess skin from her abdomen in an attempt to make her more comfortable so that her stomach didn’t drag along the ground any more. Her front teeth were broken off at the gum line from biting on cage bars and her nails had been left to grow for so many years without clipping that the quicks had grown as long as her banana paw claws. She broke my heart. Amy and Cariad became inseparable. They adored each other and in so many ways brought each other back to life. Cariad tried to teach Amy how to play and always put herself between Amy and anything that frightened her. She became her friend, guardian and soul mate. A few weeks later I discovered that there was a protest planned outside Carmarthenshire Council about a 196 dog puppy farm. It was one of those heart in the throat moments. I’d never been to a protest before but having seen what puppy farming had done to Amy, I just knew I had to go to this one. There were people there from all walks of life, different professional backgrounds, young and old. 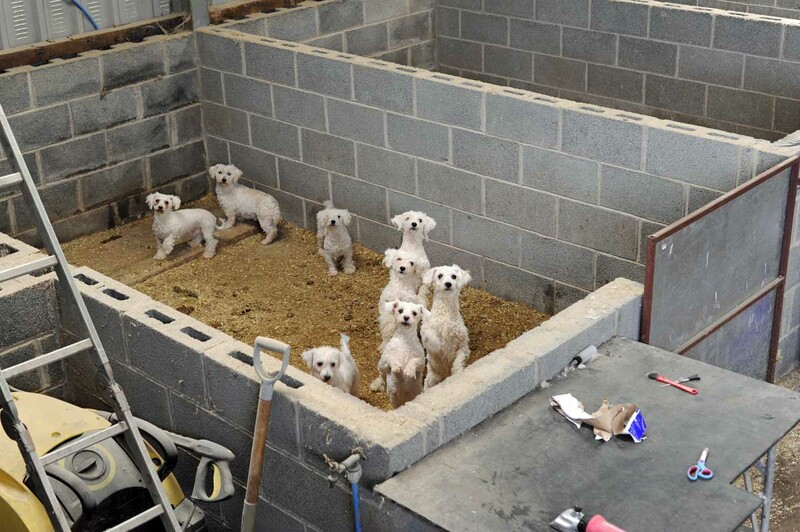 Everyone had a story to tell about the horrors of puppy farming. That day changed my life. When I came home from the protest, realising that there were in fact thousands of voiceless victims suffering out there just as Amy had, it was a no-brainer. I just had to do something to try and change things. Change the law. Educate the public. Tell the world what was going on in our ‘civilised’ country. The result was the formation of C.A.R.I.A.D. C.A.R.I.A.D. stands for Care And Respect Includes All Dogs and cariad is a Welsh word for ‘beloved’. I willingly put my life on hold to fight for these dogs, as did my small but incredibly dedicated team of fellow volunteers; all brilliant, compassionate people with a variety of skills and experience that would prove to be invaluable over the years. Their continued dedication never ceases to amaze me. The more we learn about how the system fails these dogs the more shocking it becomes. It’s like digging up a bone and realising that there’s a whole skeleton in there if you look hard enough. Well, now we know where all the bodies are buried, so to speak, as well as who buried them and who is doing everything in their power to keep them buried. I like to think of C.A.R.I.A.D. as being constructively disruptive when it comes to the establishment. We don’t make allegations without having the facts to back things up. We do our homework. And that worries a lot of people in many circles. They’re right to be concerned. The truth is ugly, unpalatable and worrying sinister. And like all good disruptive cogs in the well-greased wheel of greed, corruption, ineptitude and apathy we’re making sure that we share our information with the right people; People who, like us, are 100% committed to ending the barbaric puppy farming trade. Cariad and Amy sadly died within a few months of each other – Cariad was 10 when she was taken literally overnight from hemangiosarcoma. As a puppy farm survivor, Amy then fought and overcome mast cell tumours with chemotherapy only to be cruelly taken by lymphoma a few months later at just 9 years old. C.A.R.I.A.D. is dedicated to their memory.